Opinion – President Roosevelt once said “we have nothing to fear but fear itself” however for Turnbull the saying is ” I have nothing to fear but my own party itself’ as it has been said this week the Prime Minister ‘chose the course of timid survivalism’ – what a disappointment he has become, a weak – very weak man. He scrambles daily to preserve any ‘authority’ or ‘credibility’ he once had. If he really had any. When things get really bad he goes to the same old tired and worn out slogan – “it’s all Labor’s fault”, how original!. This week was a perfect example of a very weak Prime Minister, Josh Frydenberg announced on the ABC’s AM radio program that the government would proceed with a long-scheduled policy review, a review of climate policy, he even dared to mention that an ETS was on the table. However the puppet master of the far right, Cory Bernadi protested and jumped up and down and said “it’s dumb” this lead to others from the backbench ( where the real power is) screaming out with protest, mind you they were a handful, but they produced such unbearable pressure for the scared Prime Minister that he throw Josh under the bus and scrapped the idea of an ETS. Turnbull should have defended Frydenberg, told the backbench to shut up and proceeded with rational policymaking – but he didn’t instead timid survivalism kicked in. The reality is the likes of the “ideologically-driven” Cory Bernadi wield disproportionate influence in the government and dictate policy. Recently it has been revealed that debate in the Liberal Party is being shut down by a vocal minority of conservatives who are subverting the democratic process. When times get really tough for the PM and the government because of the likes of disproportionate influence of the “ideologically-driven” back-bench they blame Labor. The attempts this week to demonise Labor’s actions during the GFC and constant exaggeration about deficit and debt, was an attempt to attack Labor’s very sound economic credentials. It is an attempt to rewrite history and discredit the necessary and appropriate intervention governments should make in the economy to support growth and protect workers. The Coalition, allegedly the ‘good economic managers’ of Australia have shrunk the economy for the first time since the global financial crisis 8 years ago. It is only the fourth time Australia’s economy has declined since 1991. This will mean job losses, pay cuts, bankruptcies. The failed policy of giving more to the rich and the banks while the rest go broke isn’t working. 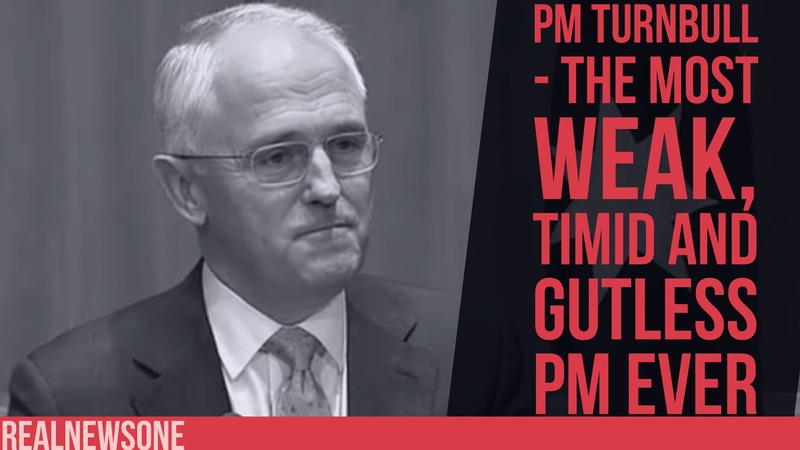 The Liberals and Turnbull aren’t working because of Turnbull’s ‘timid survivalism’.